Students should not let this old ceremony die out. One Dartmouth tradition looms large on campus at the beginning of each academic year: the bonfire. My first year at Dartmouth, it stood 35 feet tall and had a wooden “19” at its peak. My class marched around campus that evening as friends poured out of dorms to join the excited torrent heading to the Green. We were energized by the ecstatic cries of older sons and daughters of Dartmouth. Two of the people I ran around the flames with are best friends I have been lucky enough to make. The night was unforgettable. As a rising senior, I am worried that incoming freshmen may not have the same unforgettable experience because the bonfire tradition may no longer exist. The Town of Hanover has stated that it will not issue a permit for the bonfire if safety concerns are not addressed. I find this disheartening, considering the safety measures which have been taken in the past. Every fall term, the bonfire has been guarded by a 33 to 35 person security detail, chain-link fences and road blocks. Emails have been sent out to campus in order to enumerate the many dangers of Homecoming. It is true that Dartmouth students are passionate, and Homecoming heightens this to a fever pitch, which can cause risky behavior. But redesigning the bonfire should focus on how to channel that passion into something good rather than try to regulate students as if they are statistics in a risk analysis model. In “Creating a Purpose-Driven Organization,” published in the most recent issue of the Harvard Business Review, Robert E. Quinn and Anjan V. Thakor argue that “overarching values and goals become empty words” when an organization does not authentically engage with individuals. Quinn and Thakor refer to company managers who fall into a vicious cycle of responding to problems with increased regulation. They recommend that a company find common ground and inspire people to work together. In the case of the bonfire and other traditions at Dartmouth, the problem is risky behavior, and the solution always seems be more regulation. Thus, the working group that the College has assembled to address this issue should pursue a solution that works with students, not against them. 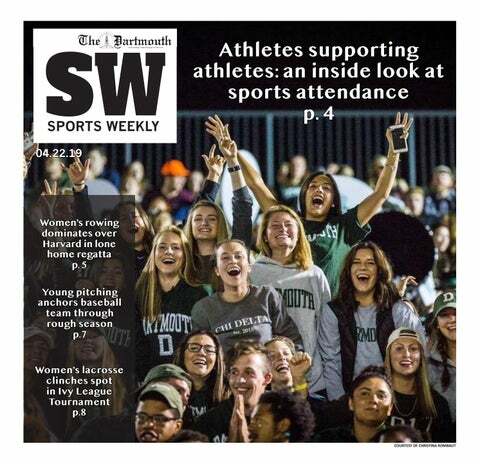 After all, the purpose of Homecoming is to demonstrate the pride Dartmouth students and alumni have for their college. Instead of more regulation, there should be alternative ceremonies that involve less risk. Something as simple as adding pageantry to the event could be all that is necessary to focus students’ energy productively. It is worth noting that no serious injury or death has occurred since the inception of the bonfire in 1888. Hanover town manager Julia Griffin has stated that her concerns are, “not so much about the bonfire itself — it’s about some of the student behavior that occurs at the bonfire.” She makes the reasonable claim that any possibility for the loss of life is unacceptable. But by that logic, the annual fireworks displays should be a much bigger concern for Hanover’s town managers. Put into perspective, the Fourth of July is a much more dangerous celebration. Every year, millions of rockets are shot into the sky and explode over enormous crowds across the country. New Hampshire has, since 2011, steadily relaxed its restriction on the use of the more dangerous “firecrackers” and “reloadable mortars.” It is also legal to use private fireworks in Hanover. While the bonfire has not seriously injured anyone in the past 140 years, there were eight deaths and 12,900 injuries nationwide due to Fourth of July celebrations in 2017. If Griffin is worried about loss of life, her main concern should not be a tradition whose safety track record is spotless. The purpose of the Homecoming bonfire is to create an unforgettable experience, to make new memories for new students all on the same awe-inspiring night. Dartmouth students are not as self-destructive as the avalanche of rules suggests. The working group should capitalize on a chance to make the bonfire safer while also finding a way to accommodate the demonstrated desire of students for something more than a run around the flames. The bonfire is one of the truly quintessential Dartmouth traditions. It is every member of the Dartmouth community’s duty to voice their opinion, whatever it is, so that we do not lose something so great due to superfluous concerns and weak criticisms.